What Curtains go with White Walls? White walls can be pretty boring – that goes without saying. If you’re renting though, or are simply unable to add a splash of paint to the wall, you can still add a splash of colour to your room with your choice of curtains. But how do you pick the right colour curtains for your white walls? Here are several factors you should take into account. 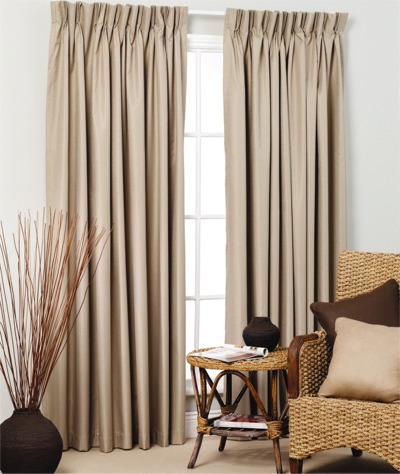 Find a curtain colour that complements the decorating scheme of your home. For example, natural earth tones like blue or green might be better suited to a home with a distinct African influence, while in a newer, more contemporary home that is very much 21st century in design, you’d be best served by choosing curtains that are very bold in colour and effectively plays off the minimalist feel of the room. 2) Patterns – yes or no? They can add a subtle touch of personality that simple block colours might otherwise not. For white walls it’s important that the pattern features white or a similar shade – ivory for example – so there is some co-ordination with the walls. One thing you don’t want to do is opt for block white curtains to go with the white walls. Unless you’re aiming for a specific look, and that look is ‘sterile hospital room chic’, white curtains on a white wall will not add any appeal to your room. For more information on the best curtains to suit your house, explore the product range online from Curtains On The Net today.